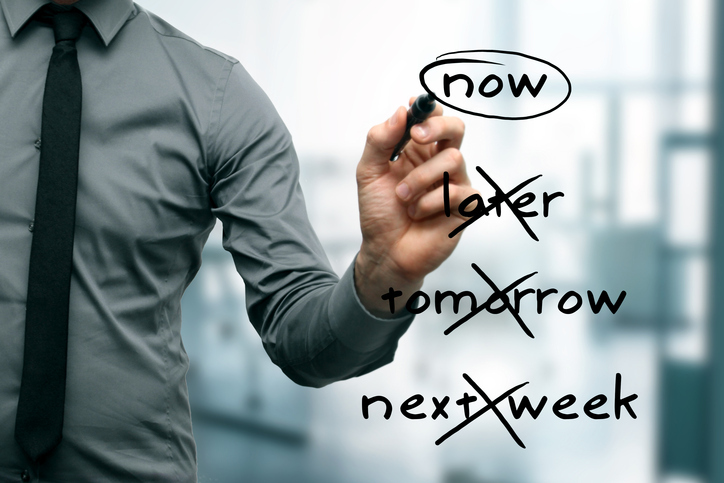 Most chronic procrastinators are painfully aware of the avoidance part of the equation. But we’re often misinformed about what’s behind it — the emotional coping part. No wonder we end up functioning at less than optimal on a daily basis and missing out on long-term goals. Doesn’t feel so good at the end of the day… or at the end of a decade. Rather predictably, recent research has shown that procrastination is related to lower E.Q. — emotional intelligence — the ability to understand and regulate our emotions so we can channel them into effective behavior. Fortunately, there are ways you can increase your E.Q. so you can self-regulate, better manage yourself and boost your productivity — as well as your happiness. Whether you’re putting off a boring chore, a gnarly work project or having a difficult conversation with a relative or coworker, the feelings that accompany procrastination can range from uncomfortable to downright awful. No wonder we want to get away from those feelings — dread, anxiety, guilt, boredom, confusion, self-doubt, embarrassment, and maybe even shame — as fast as we can. So how do you strengthen your emotion-regulation skills just enough that you can stay in the moment and get on with the task at hand — instead of shoving it off onto your future self? Let’s start with a procrastination-buster I cooked up recently for a client who wanted to get her work area organized. I call it Why I Don’t Feel Like It. I like this technique because it tricks you into getting started — by describing why you’re not getting started. Me: So why don’t you feel like doing it? Client: I don’t want to start because I know that once I get it organized, I won’t be able to keep it organized… forever! (Laughing). It will feel even worse to accomplish my goal, but not be able to hold onto it. So I’d rather not start at all. Me: Okay. So what are you willing to do? Client: I’ll get organized just enough to function. Me: Great — If you can maintain that, maybe you can take it up a notch later. See you in two weeks. Client: It’s been up and down, but I’m satisfied right now with staying just enough organized. I’m surprised that I actually feel better to function at less than perfect versus total failure. I thought only total perfection would do! 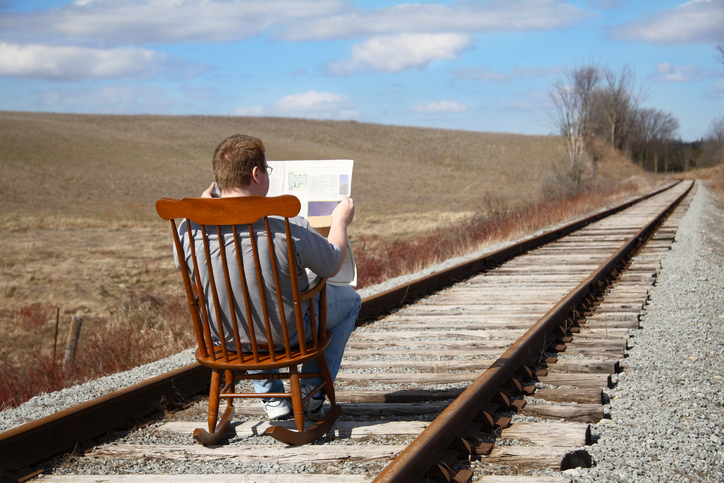 Procrastination can plague not just your ability to get started, but also hijack your ability to stay on track. Set a timer for 25 minutes and work exclusively on the designated task until the timer goes off. 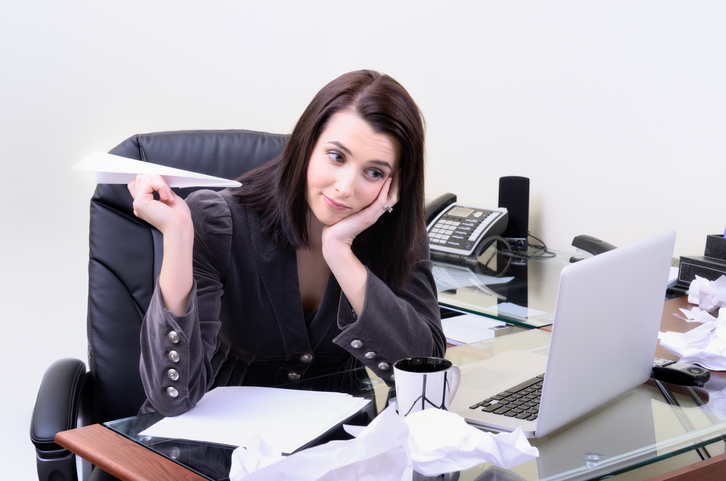 At the end of each 25 minute period, either take a 5 minute break or start another 25 minute work session. Continue to work on the task in 25 minute increments. After 4 increments, take a longer break (15-25 minutes). I like using Pomodoros because they keep you aware — they require you to repeatedly make a conscious choice about how you are using your time. One of my clients kept putting off an important, but non-urgent task. Completing it required that he devote about an hour a day over a period of a week to get it done. Shortly into his very first Pomodoro, he had an insight about why it had been so hard to get started: He knows he gets a little obsessive about things and realized it might be hard to stop after an hour. But higher priorities demanded that he be able to meter out his time this way. Voilà! 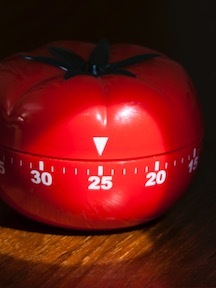 The Pomodoro technique gave him the short-term mood regulation he needed so he could work in increments, stop and come back to the task until it was completed. Even more importantly, it gave him confidence that he can effectively manage himself and his emotions. Willpower is a limited resource that must be used strategically. In other words, we have to know our limits, anticipate problems and have comebacks in place and ready to go. Know that sleep and rest restore your ability to self-regulate. Don’t expect yourself to perform feats of willpower later in the day — self-regulation is less effective then. A boost of positive emotion has been shown to eliminate self-regulatory impairment. Anticipate possible obstacles and have “If this happens, then I’ll do this” comebacks. Pre-decisions like these have been shown to boost willpower and counter the effect of self-regulatory depletion. Self-regulation appears to depend on available blood glucose — so don’t let yourself get hypoglycemic. Be aware that social situations can require more self-regulation and effort than you may think. “We all face setbacks, disappointing moments and frustrations with our apparent lack of progress. Your attitude toward the setbacks and yourself will be extremely important to your continued progress,” Dr. Pychyl observes. CROSS THE FINISH LINE — ANY WAY YOU CAN. My personal take? I just want to get over the finish line — stumbling, crawling or falling are all acceptable ways to make it happen — in my book. The most satisfying part of all this stuff? You realize you’re not just getting on with the task at hand — you’re getting on with your life. Written by: Dr. Jan Anderson - For Dr. Jan Anderson's tracks on iTunes, click here.